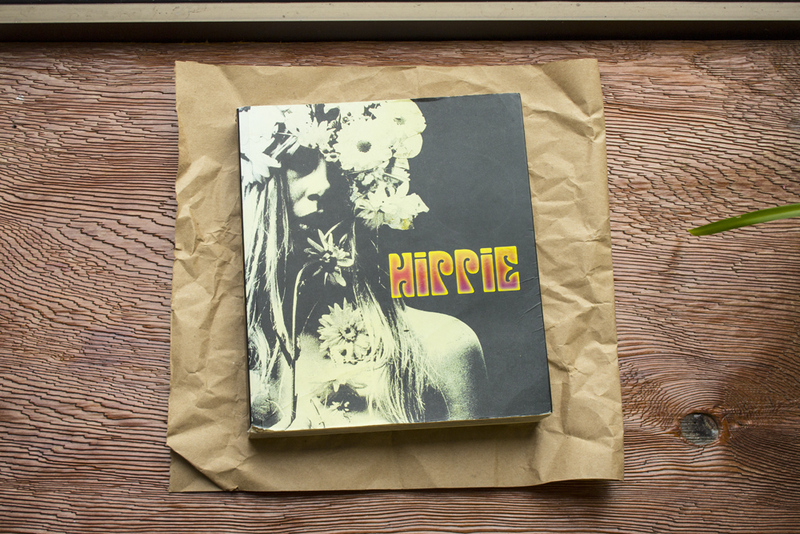 Here at Soul Flower, we are treehugging, eco-loving, organic living free spirits. We enjoy many a walk in the woods. And right now, Autumn walks couldn’t be more beautiful! 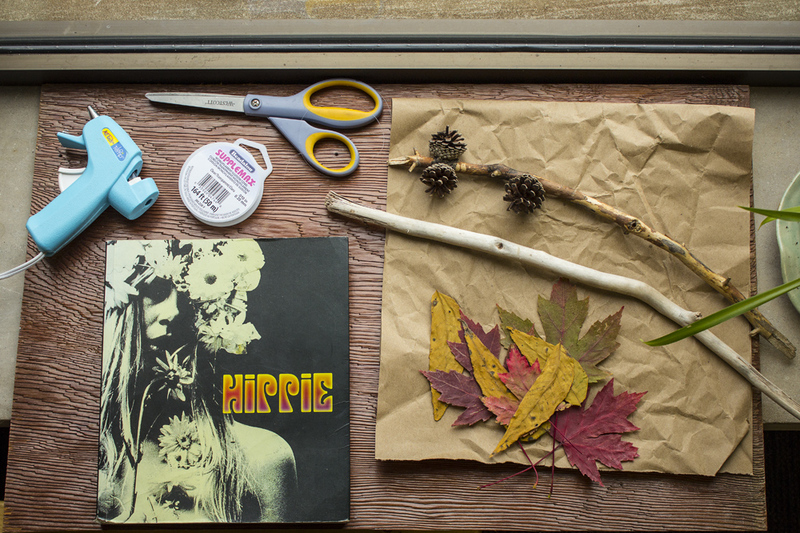 We found a fun and super eco-friendly project to help you embrace fall and remember the beautiful colors for months to come. 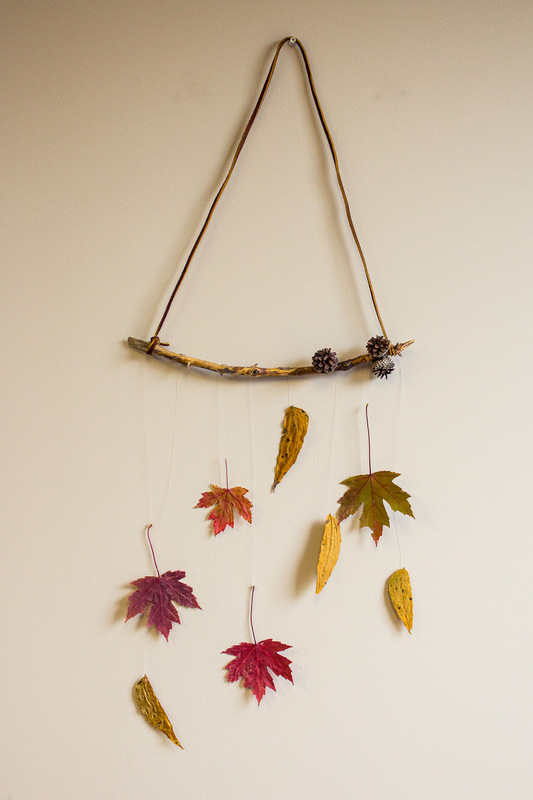 So give this one a try buds: make a leaf mobile – our DIY leaf mobile is a simple project and will help you enjoy all the beauty our Fall season brings! So here’s the fun part…. 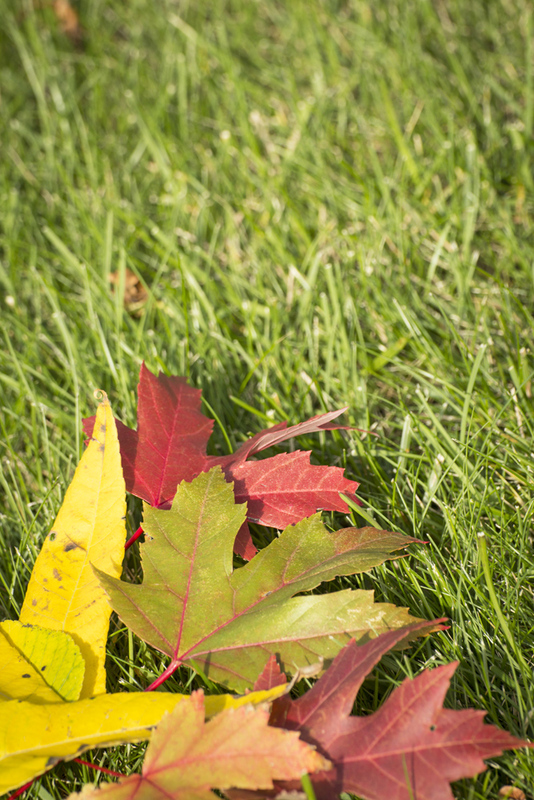 head outside, take a nature walk and pick leaves from the trees that catch your eye the most. Try to find leaves that are different sizes and shapes for variety. Be sure that they’re also bendable and have a bit of life left in them – this way they won’t become too brittle and break when you move on to step two! Find a couple sheets of paper (paper from plastic grocery bags and newspaper work great) and lay out your leaves so that they aren’t overlapping and completely flat. 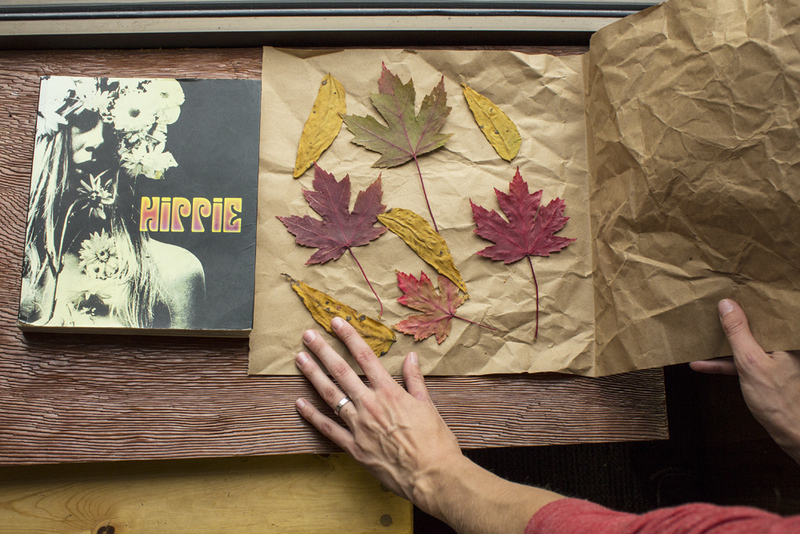 Cover both sides of the leaves with this paper and then set a heavy object (like a book) on top. Check every day or so so make sure the leaves are drying out and not turning brown. 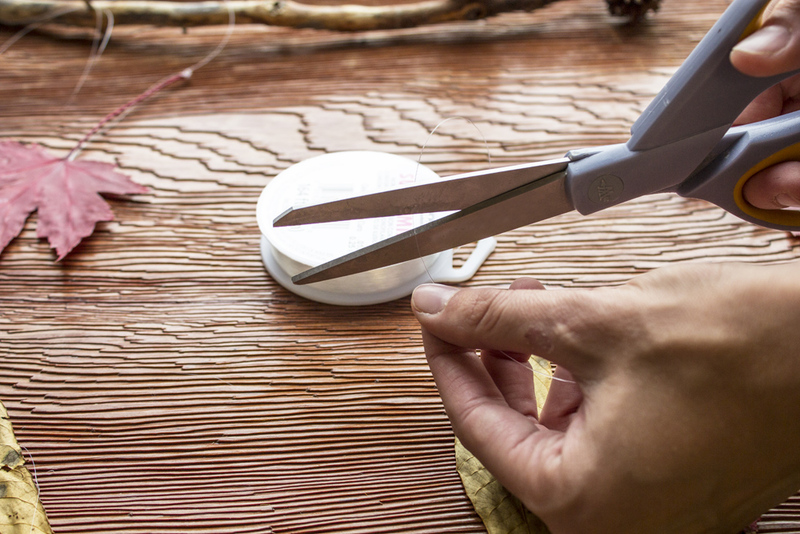 If they do start to turn brown, switch the paper to a couple fresh sheets so that it can soak up the moisture quicker. After approximately 4-5 days your leaves will be dried out and ready to go! 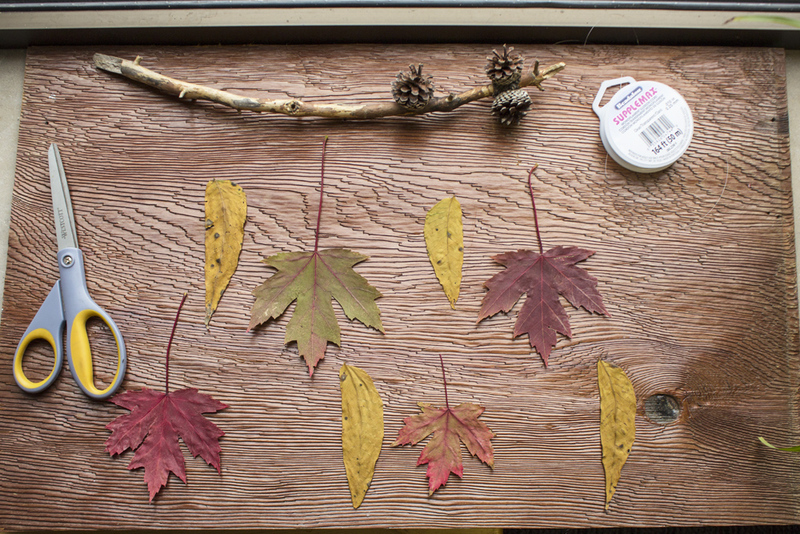 Once pressed, leaves and flowers hold their color much longer and don’t decompose like regular leaves. 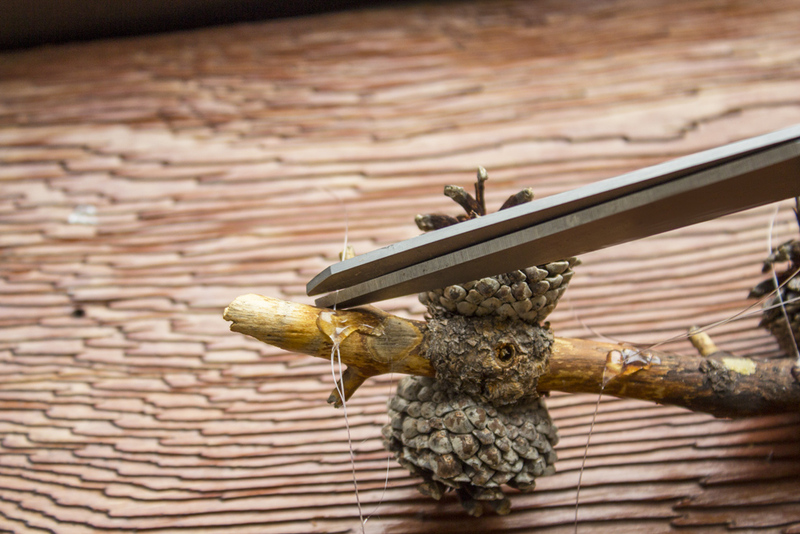 Decide how you want your leaves to hang from your branch by placing them underneath, then cutting and gluing the fishing line to the leaves. 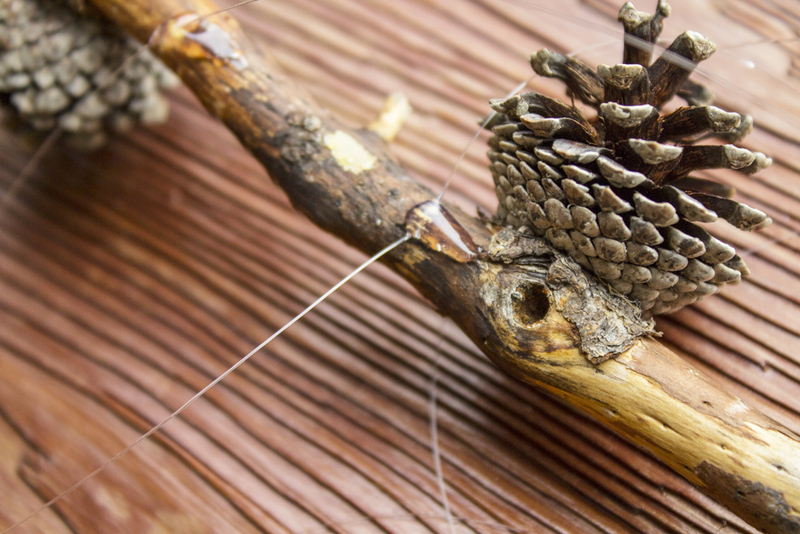 Attach the fishing line to the back of the branch using a drop of hot glue, then trim excess string. You’re finished! 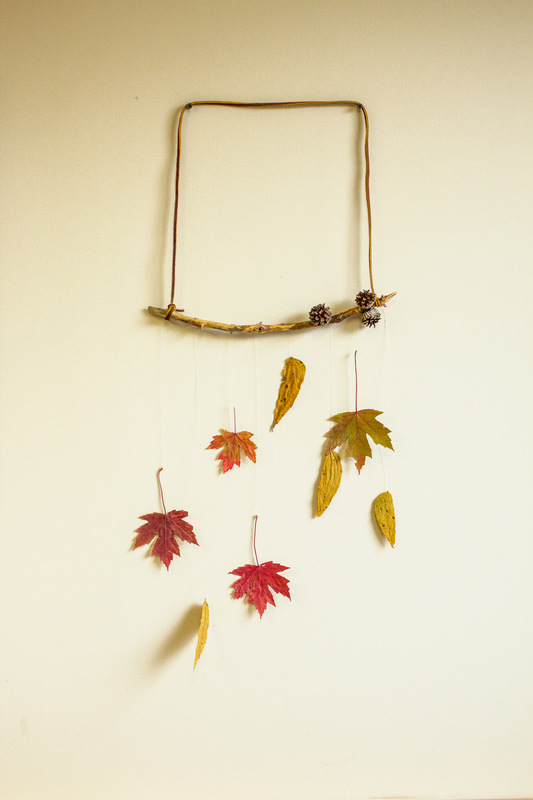 Hang up your DIY leaf mobile using some string, (faux) leather cord, or fabric scraps and be reminded of fall each time you look at it! 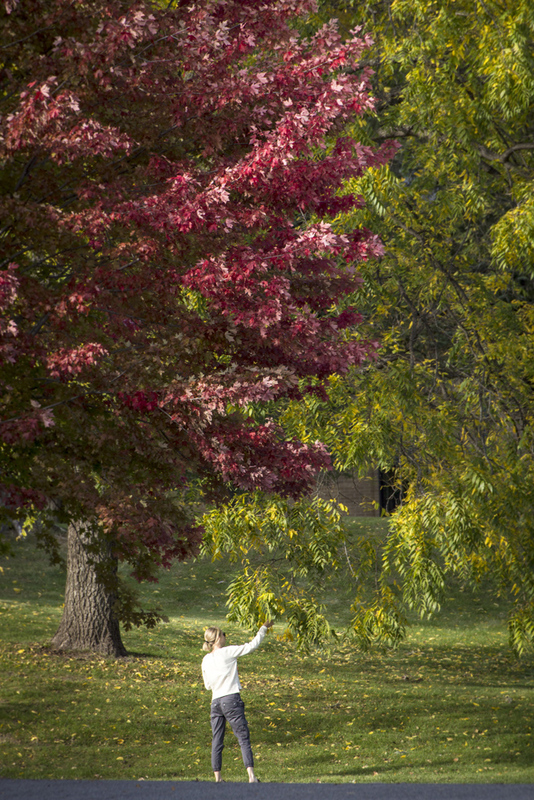 Looking for more tree and leaf inspiration? 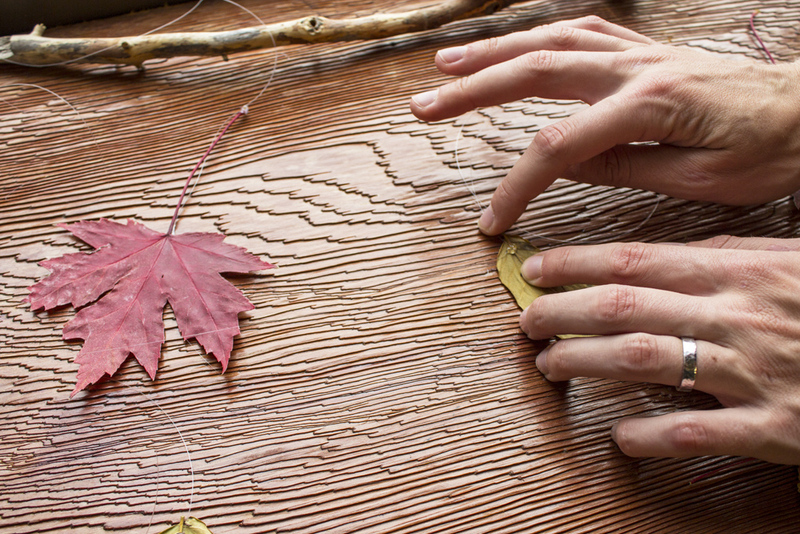 Find some Tree Lovers Gifts or take a look at our leaf inspired designs at Soul Flower!